I was minding my own business, busting my tail up a giant hill in my parents’ neighborhood outside of Asheville, NC. I had just moved back from living and working on Lake Atitlan, Guatemala, for the past 13 months, and I was spending time visiting them while getting ready for my PCT hike. So here I was with my new Gossamer Gear Mariposa pack loaded to 30 pounds, slogging up a steep climb, just for kicks. Isn’t she sweet sitting there in the tree blossoms? It was the second day I was out there early in the morning, with the mountains around still shrouded in light mist, and steam rising off the blacktop. The shrubs and tree blossoms were all in bloom, and I appreciated the peacefulness of it all as I watched little bunny rabbits run across the lawns. Next thing I knew, I heard a car come up behind me and a voice beckon as a door slammed closed. ”Excuse me ma’am, I need to speak to you. You’ve been called in for suspicious behavior,” the police officer calmly but firmly stated. Does this face look dangerous to you? I already knew what he thought, but I let him tell me anyway, before I spoke. ”Someone in the neighborhood saw you out here yesterday, too and thought you might be homeless and camping in the area,” he went on to say. I smiled warmly and told him that I’m training for the PCT, and that my parents live at the bottom of the development. Yeah, I thought, do you have any idea of how much value in gear I’m carrying on my back? I remembered back to walking in Spain after the Camino de Santiago with my hiking companion, how we would wander through non-trail town neighborhoods while navigating a new route, perhaps looking a bit like hiker trash. He had a huge beard and a well-worn cowboy hat, and always felt he was viewed a little differently when I wasn’t around, as if my presence toned down his appearance to a degree. Not quite sure how I did this, in my brightly colored tights and rainbow unicorn hat, but I guess we managed to look somewhat respectable together. Maybe. Probably not. We would see the elderly grandmothers (abuelas in Spanish) gathered in the central parks and the streets around sunset, eyeing us as we walked. We called them A.W.A.T: Abuelas Watching All Things. These women were all the security the neighborhoods needed and we were careful of our steps around them. I thanked the officer for taking such good care of the development my folks live in. I laughed to myself because there are apparently also A.W.A.T’s in western North Carolina that act as security guards from the windows in their houses. He bid me good day and I set back to my hike up the mountain. The next morning I set out again, feeling strong as I powered up the hill, breathing in the springtime air. 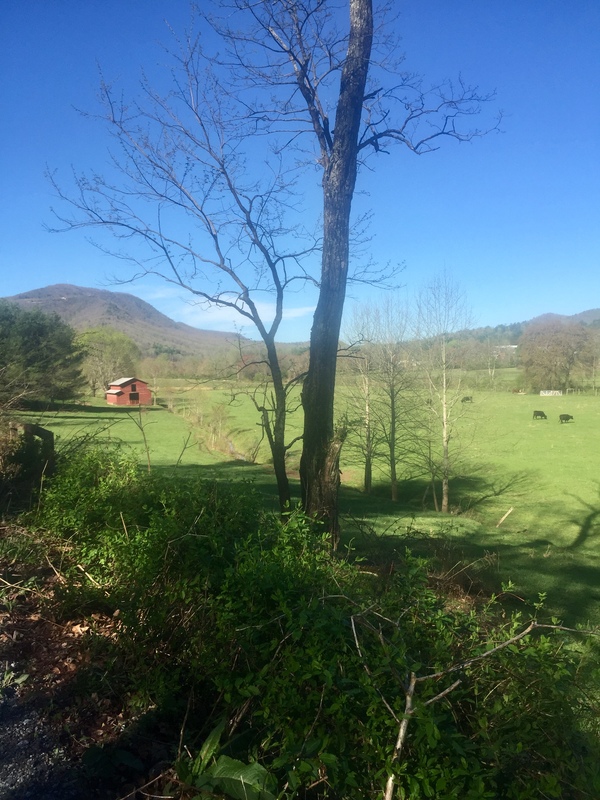 Western North Carolina is beautiful! As I crested the top, a beige sedan slowed down and pulled up along side of me. Oh, here we go again, I rolled my eyes. ”Hi, are you training for a hike?” a middle-aged woman enthusiastically asked me. ”Yes I am. 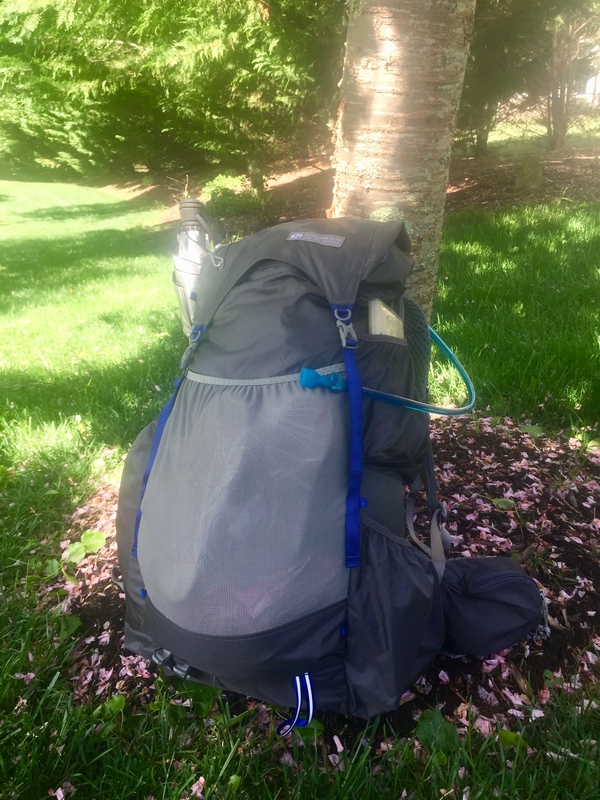 I’m getting ready for the PCT and testing out my new pack,” I happily replied. ”That’s fantastic! I hiked the AT a few years ago and I spent a lot of time prepping with these hills,” she pronounced with a big smile. I couldn’t believe it as I shared with her that I had also thru-hiked the AT a few years back. “What’s your trail name?” she asked. ”Prairie. 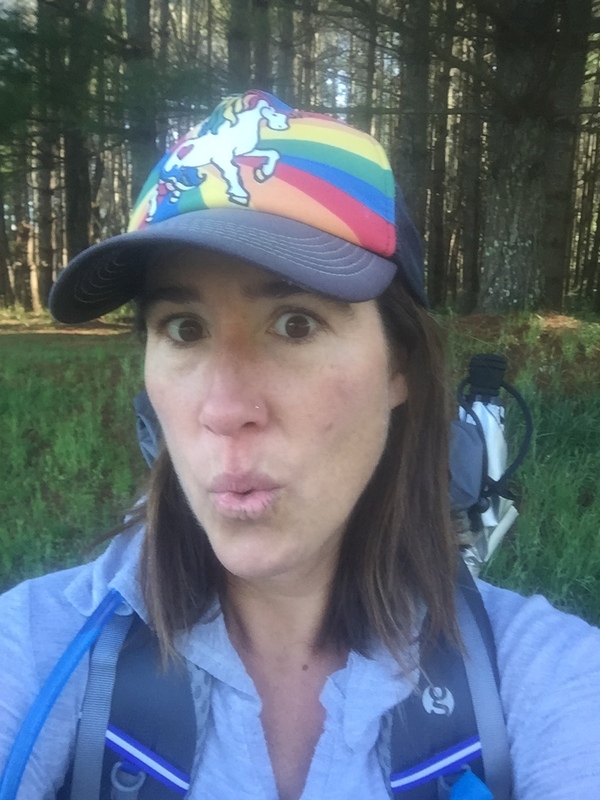 Because I’m from Nebraska,” she said before she kindly wished me all the best for the PCT and drove away. What a funny two days. Going from being considered suspicious with A.W.A.T’s and a police officer, to a friendly greeting from a woman who happened to be another thru-hiker who happened to live in my parents’ neighborhood. It’s not going to get any less interesting once I’m on trail, that’s for sure. Oh boy. OH boy 13 months living and working in GuataMALA, GuateLINDA, GuataMAYA, La tierra de la eterna primavera, Chapinlandia! • Did they have Shucos there as in Guatemala City and Antigua? The week I spent in Guatemala City and Antigua, one of greatest treasures in my life. I still am thrilled I was only gingo on a Chicken Bus one rainy morning, going between the cities. That was an adventure itself. And my visit to Kaminaljuju topped it all off. Funny A.W.A.T like Babuskas in Russia, and they will scold you too! Anyway I am a Guate fan and I am so glad I found your site. You write well — a joy to read. I am subscribing. Looking forward to following your adventure. BTW, this old coot is a PCT section and day hiker. Gracias, Leo! I appreciate your comments and interest! Guatemala is for sure a very special place in my heart. Love you and miss your smile, Dee! I was wondering if you were Out of Order’s friend from the Camino. I first heard him on the Trail Show and then started following his blog and videos. I loved his writing and his personality. Good luck on the PCT! Maybe I’ll even see you on the trail as I live, work, and hike in Northern California. Hi Mike! Actually yes, I am the same Daya that Out of Order Hiker with on the Camino and after. I wonder if you heard his initial episode after he came back from his big hike and I was a bit of a prankster with him on the show? Thanks for the encouragement and perhaps I will see you out there!